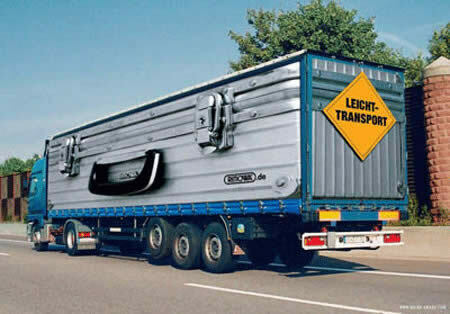 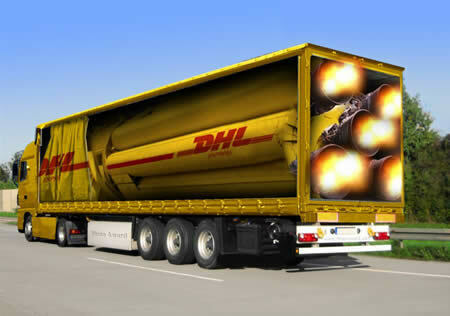 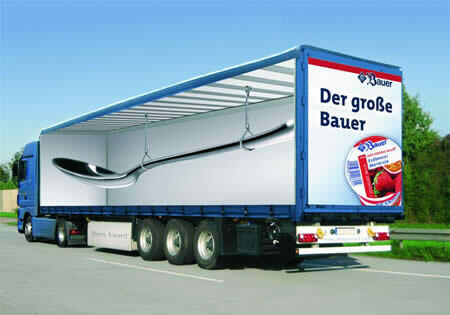 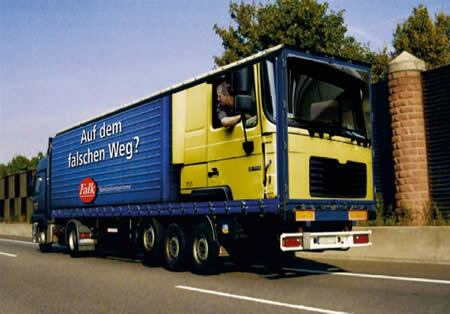 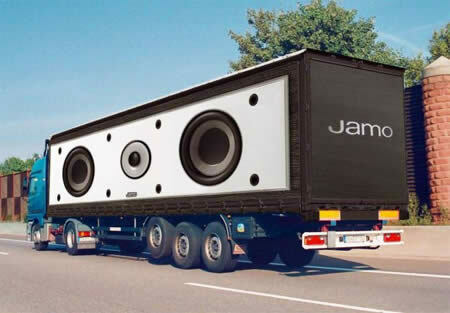 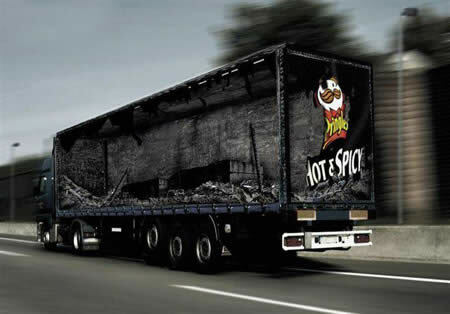 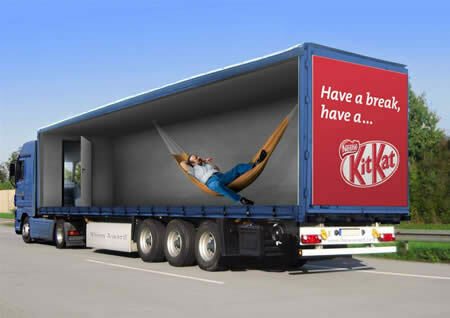 In Germany some creative minds have been coming up with ideas to make advertising on trucks more exciting. 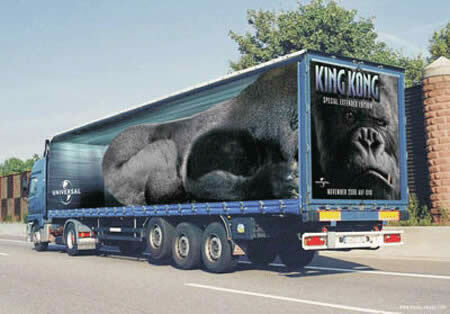 The adverts are printed on canvas covers, which are placed over the container portions of the trucks. 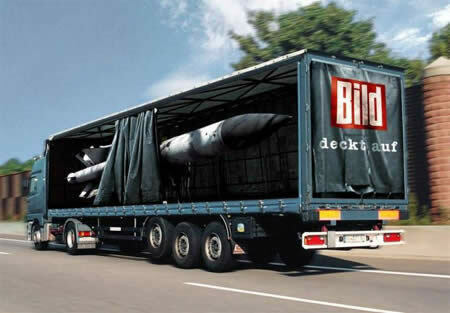 In order to promote the new medium RollAd sponsored The Rhino Rolling Advertising Awards competition, which invited German advertising agencies to submit digital mock ups for proposed adverts. 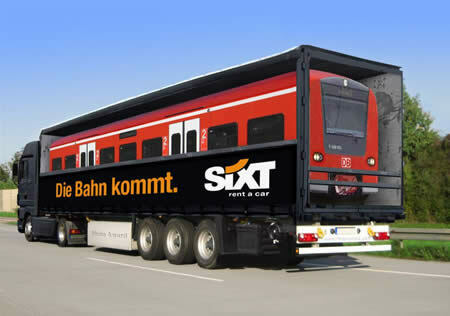 A panel of judges evaluates the mock ups and the seven winning designs are created and showcased at the awards ceremony held in October every year.